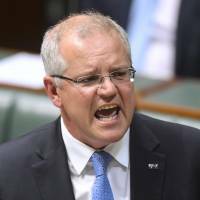 SYDNEY - Australia’s center-right government united behind new Prime Minister Scott Morrison to fend off a de facto vote of no confidence Monday but his coalition still appeared likely to be heavily punished by voters at an election due by May. Morrison’s Liberal Party, the senior partner in a Liberal-National coalition, fractured in August when a backbench revolt forced then-Prime Minister Malcolm Turnbull from office in a party-room vote, ushering in Australia’s sixth leader in 10 years. His first session of Parliament as leader was hostile but Morrison’s government united to defeat a series of motions by the opposition Labor party to debate Turnbull’s ousting that would have amounted to a confidence vote. The coalition lost its majority of only one seat in Parliament with Turnbull’s resignation in August, leaving it precariously placed to push ahead with its agenda and hold off calls for an early election. “Given the public mood and the circumstances behind Turnbull’s departure, there was the very real prospect that some backbenchers would have moved against the government in order to bring about an election,” said Haydon Manning, a Flinders University political science professor. The impact of the political infighting has been laid bare in recent days despite Monday’s fragile show of unity. Australia’s prominent Newspoll in The Australian newspaper Monday showed the coalition would lose up to 30 seats if an election was held now. The poll of 1,653 voters showed Labor ahead by 56 to 44 on a two-party-preferred basis in which votes for minor parties are distributed under preference deals. It was the 40th straight losing poll for the coalition and a sharp deterioration from the 51-49 result in the last days of Turnbull’s leadership. The government will soon face a by-election for Turnbull’s harbor-side Sydney electorate and the Newspoll indicated the once-safe Liberal seat could be in jeopardy. A defeat would leave Morrison beholden to a group of independent lawmakers. The Liberals already had a stark warning in a New South Wales state by-election where official figures Sunday showed a massive 29 percent swing against them. NSW Premier Gladys Berejiklian blamed the chaos in Canberra for turning people against the party. 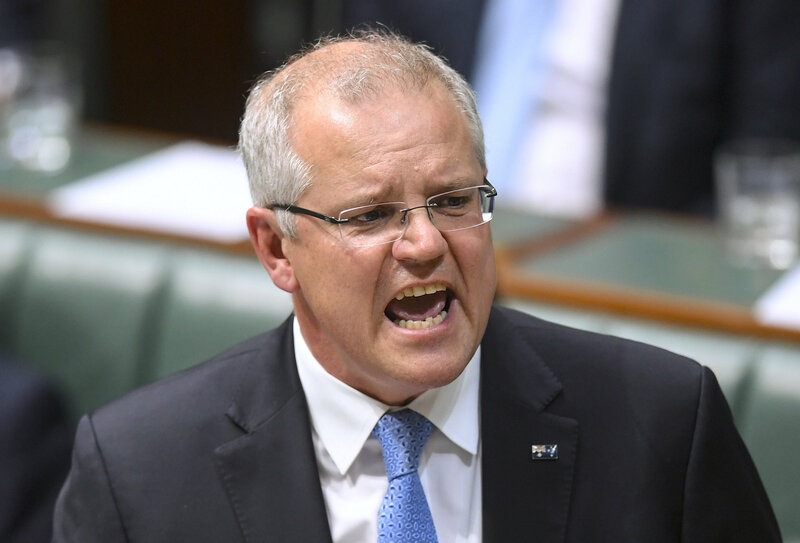 Morrison has used his first few weeks in office to present a down-to-earth image with a message of a “fair go for those who have a go” but could struggle to keep the government unified. Australia’s upper house Senate, where the government also doesn’t have a majority, passed a bill Monday that would ban the export of live sheep following a series of animal cruelty cases. Morrison, who relies on the support of rural voters, opposes the ban but several of his backbenchers have vowed to support the legislation. He also faces growing calls to address allegations of bullying within his party after allegations from three female backbenchers that they were unduly pressured by supporters of Peter Dutton, whose challenge brought on the leadership vote.